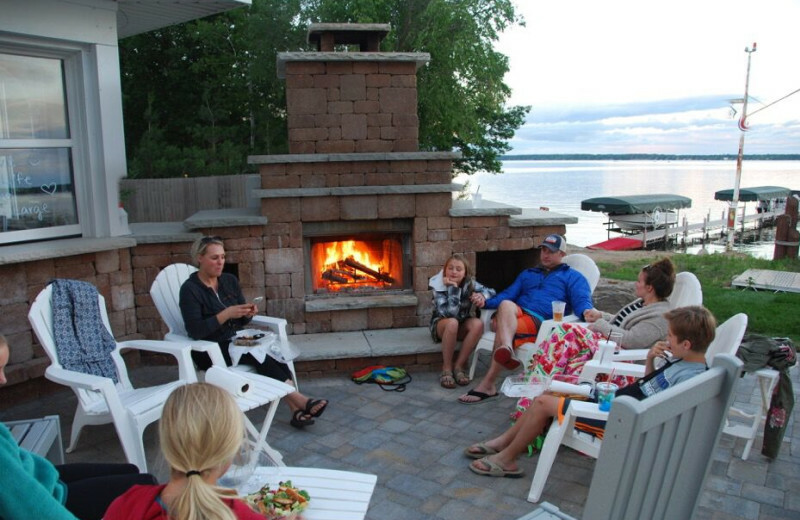 A Family Vacation You'll Never Forget on the Shores of Gull Lake! 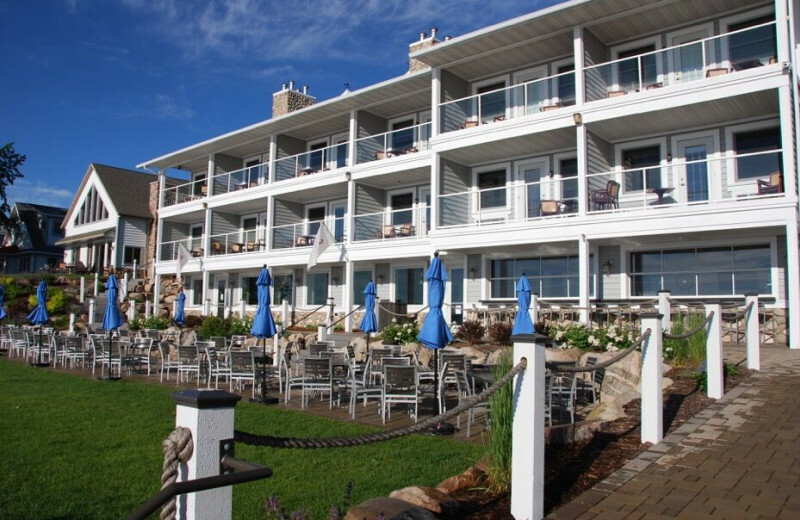 Four seasons of family fun make the Quarterdeck Resort an excellent spot for any family getaway! 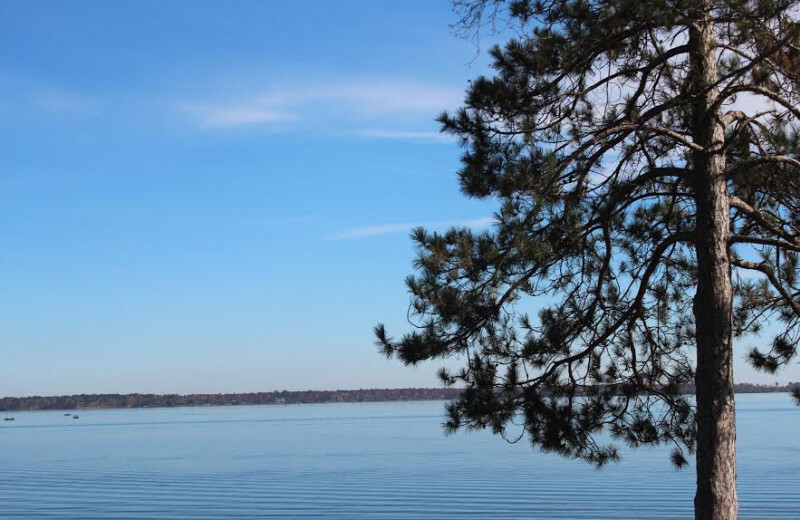 Scenic Gull Lake has miles of shoreline to explore, fish to catch, and trails to hike, in a calm, serene location. 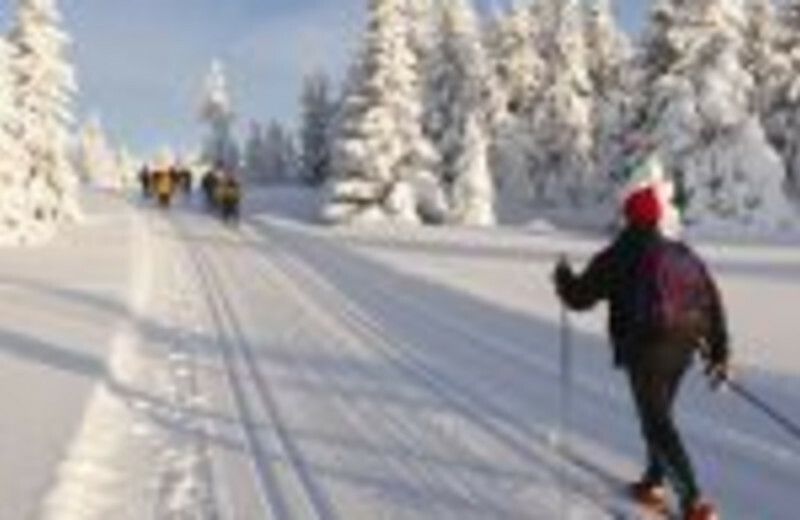 Across the street, you can enjoy golfing, and during the winter, tour the area on cross-country skis or snowshoes. 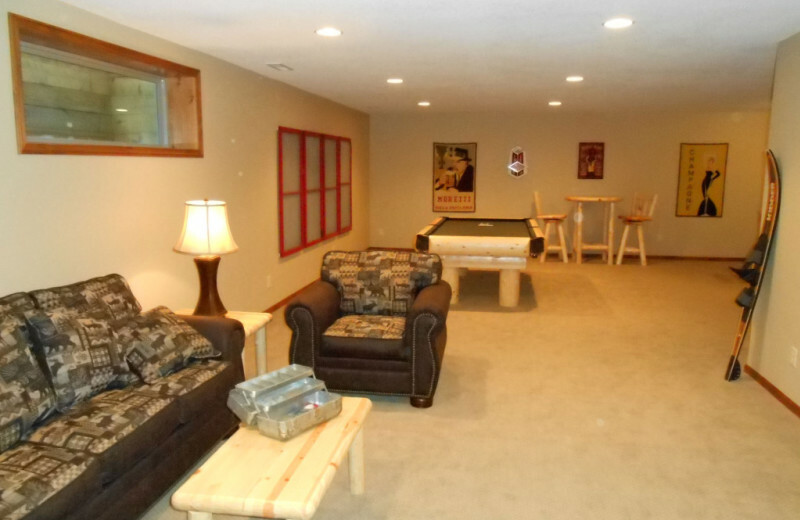 The recreation center offers a game room and television for the days you want to stay in. 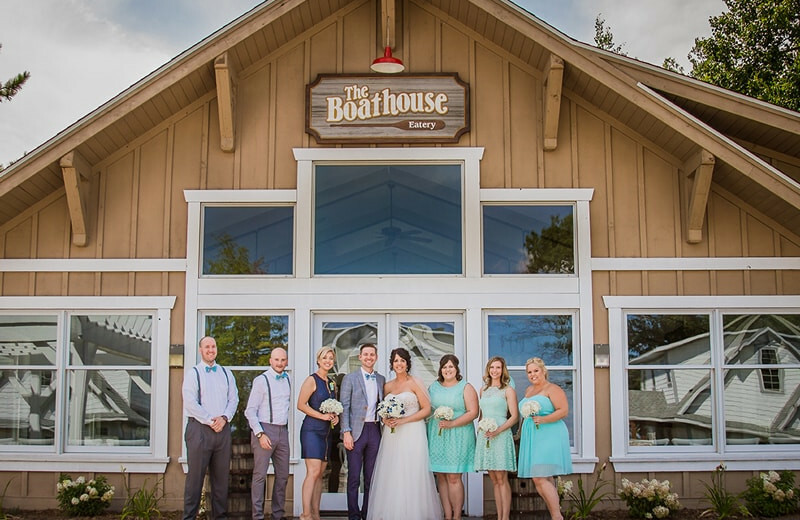 The Boathouse Eatery & Bar is a great place to refuel with a wide selection of delicious international and American food. 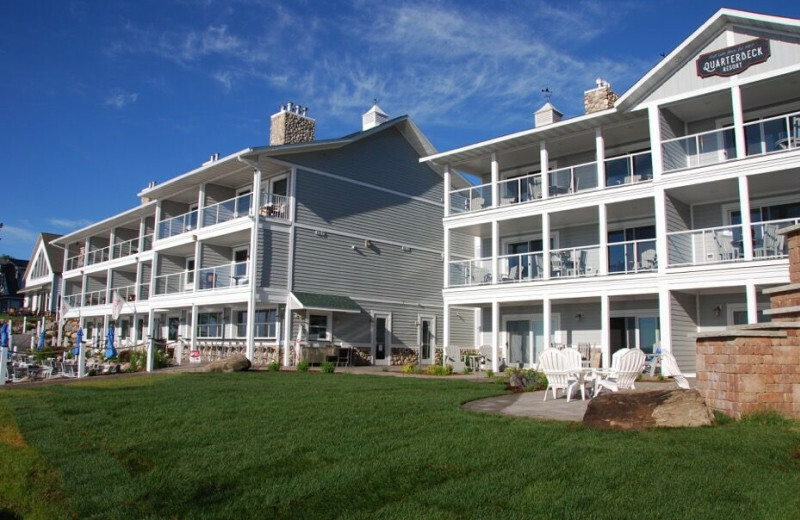 From luxurious lakeside villas to cozy vacation homes, the Quarterdeck Resort provides all the comforts of home, with views you won't find anywhere else! 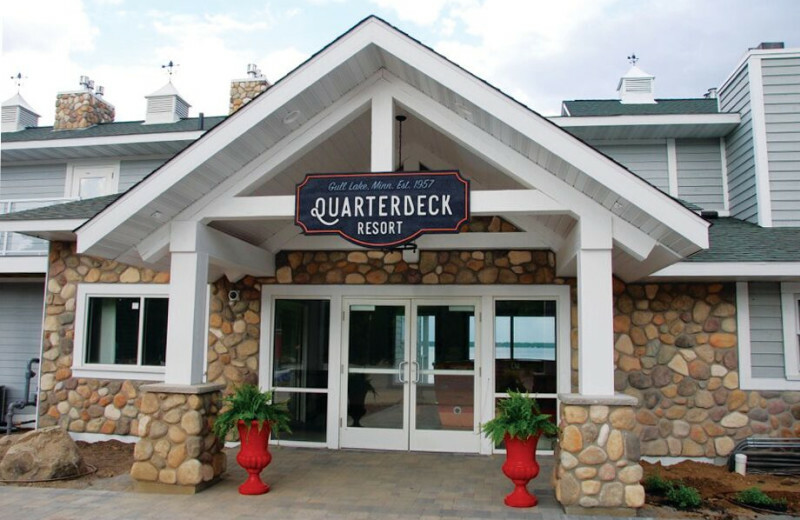 Resting on the shores of beautiful Gull Lake, Quarterdeck Resort is an Minnesota destination that can't be missed. 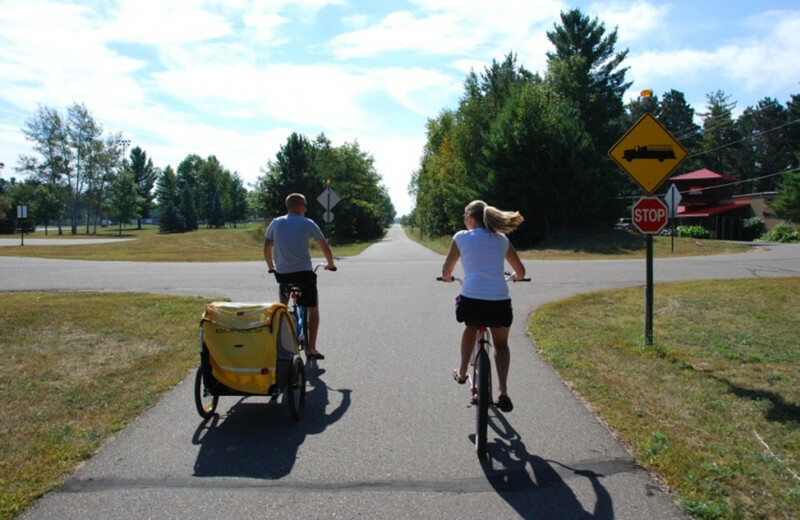 The 10,000 acre lake is a wealth of outdoor activities. 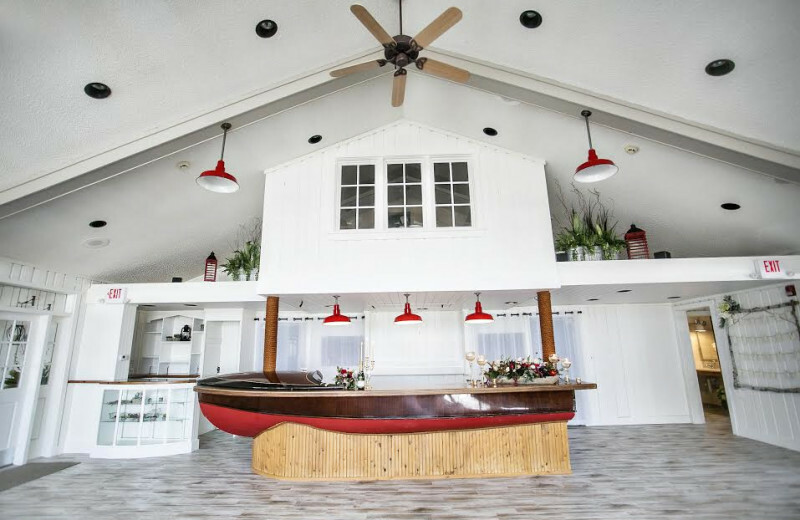 You can rent a boat right onsite and spend a day exploring the waters, or take it easy from the beach. 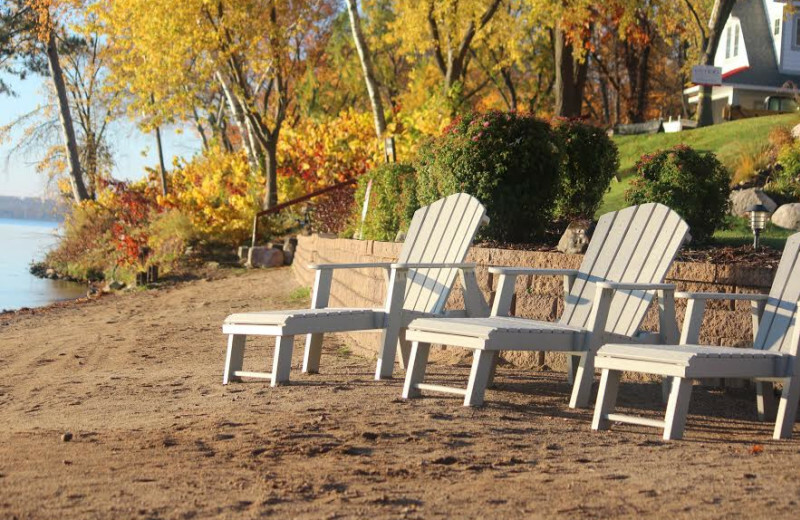 Build a sandcastle with the kids, have a picnic together, and enjoy the fantastic views. This is a beach vacation you won't ever forget! With great fishing, paddle-boats and a large playground area, your whole family will never have a dull moment at the Quarterdeck Resort. 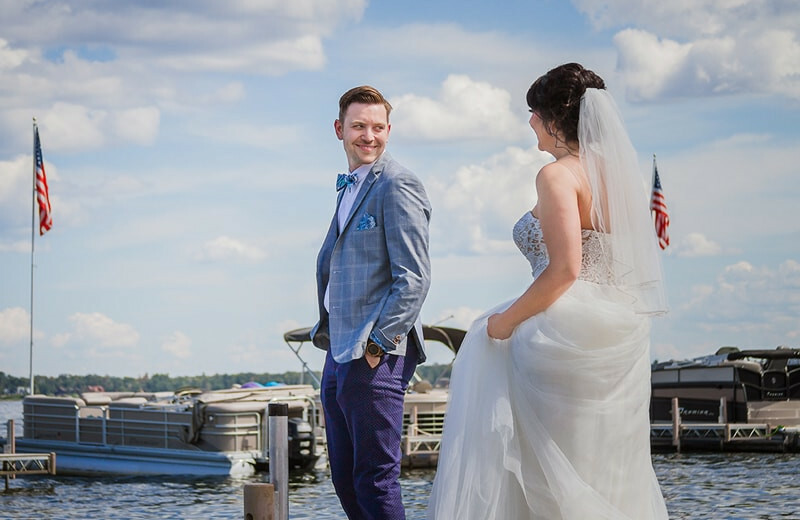 This exciting Minnesota destination rests on the shores of Gull Lake and offers plenty of miles of shoreline to explore, whether it's a day out on the water for a swim, or wandering along by foot to enjoy the views. 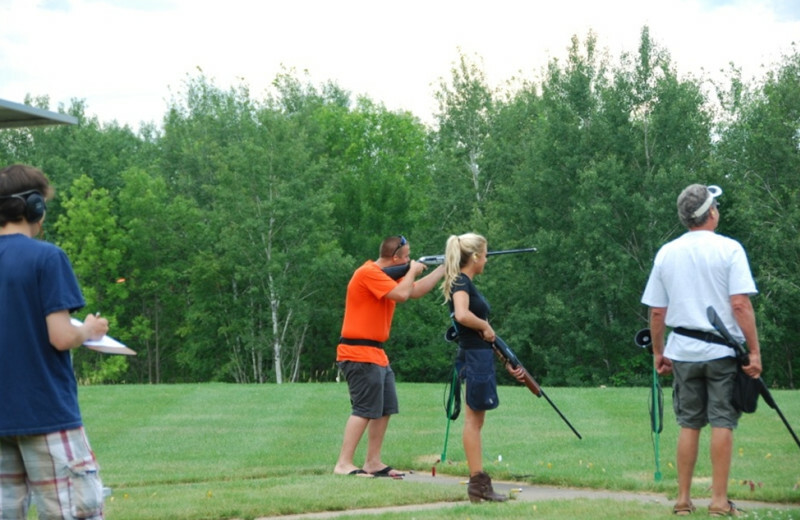 Nearby zip-lining, golf, hiking and horseback riding is also available to keep everyone entertained! 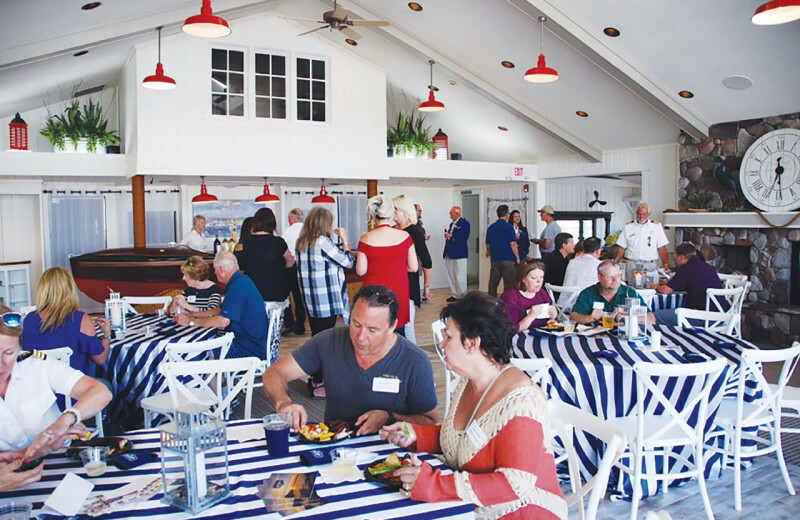 To top it all off, the onsite restaurant serves up delicious meals that will satisfy both you and and even the pickiest kids. 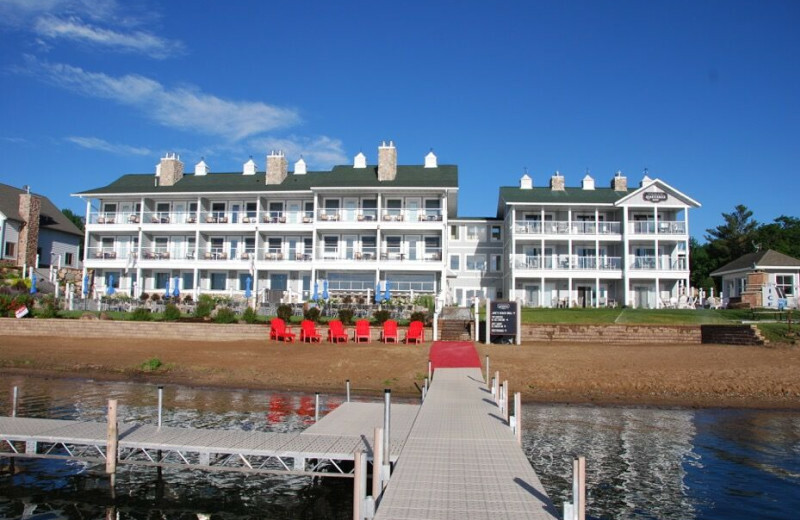 With 20 golf courses in the Brainerd Lakes area, a stay at Quarterdeck Resort serves as the perfect home-base for your Minnesota golf getaway. 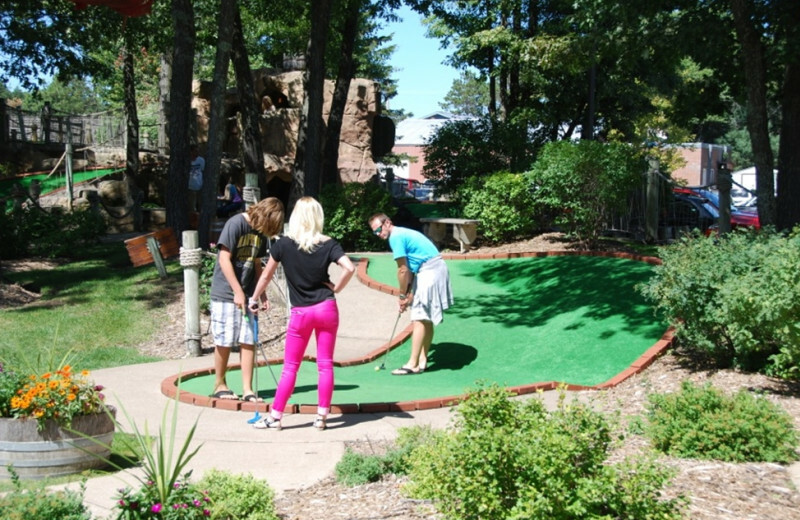 Whether you're new to the game or a seasoned expert, you're sure to find a course just right for your skill level. 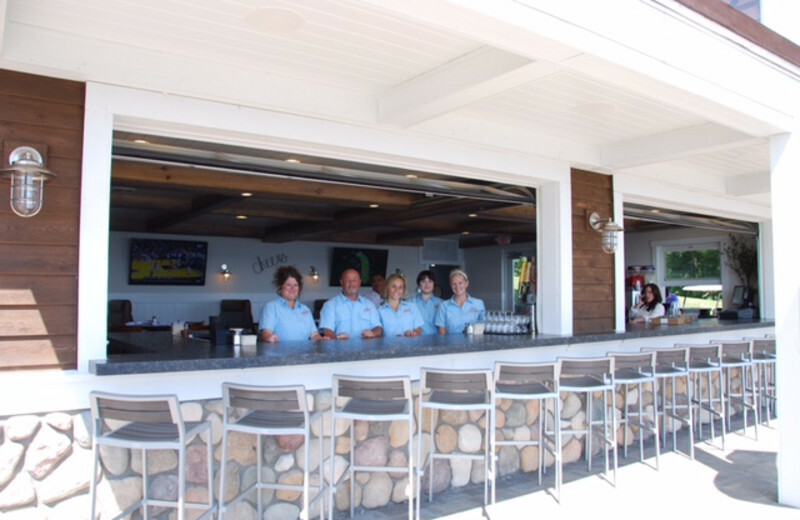 The staff at the resort can assist you with all your golf needs! 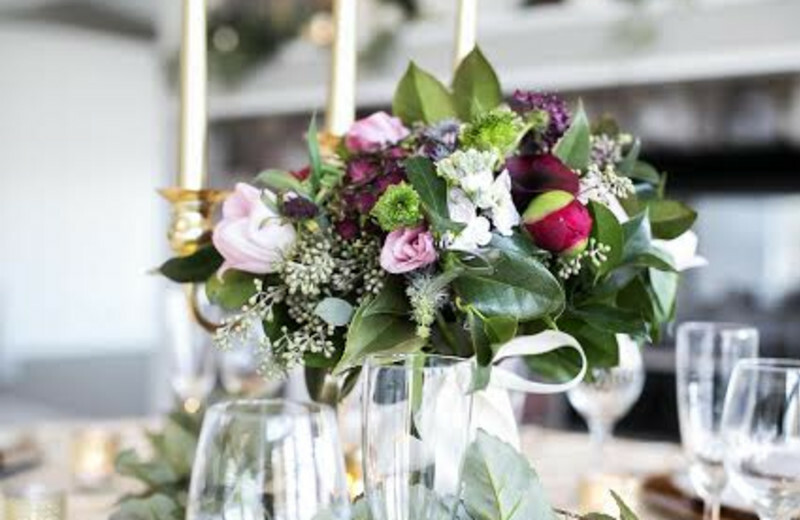 Creating a memorable special event or conference requires a dedication to getting the details right! 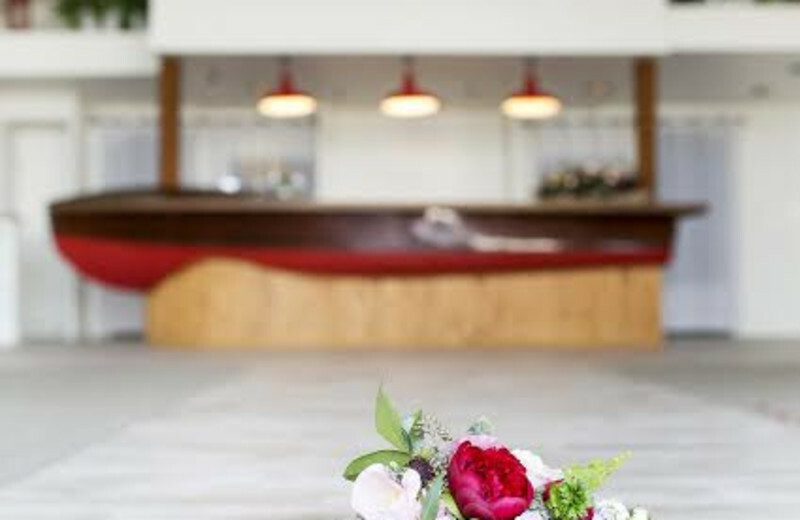 It starts with selecting a venue that not only suits your corporate meetings or conference needs, but one that will provide a unique, individual experience for every participant. 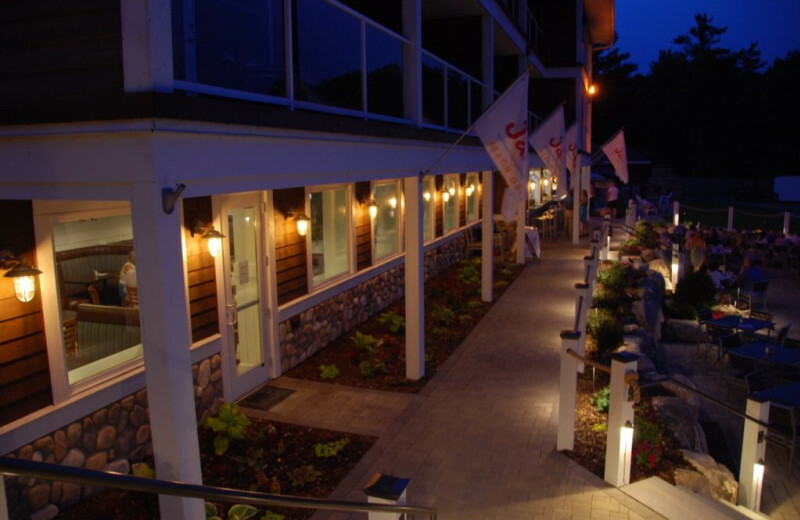 That's where the Quarterdeck Resort comes in. 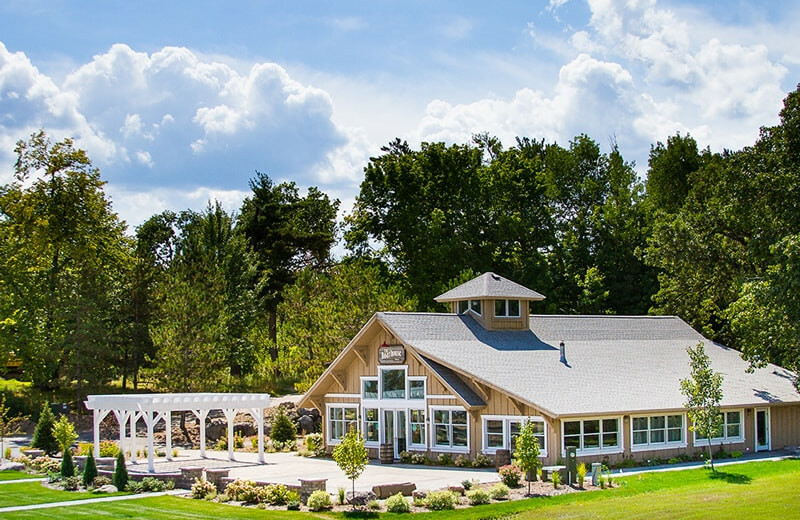 This lakeside retreat is the perfect place to host your inspiring business retreat! 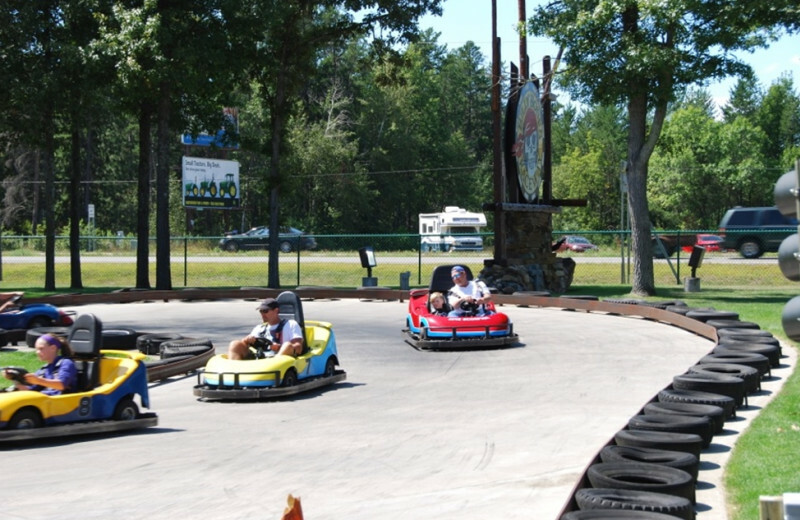 No matter the season you decide to bring your family together at Quartedeck Resort, you'll find plenty of activities that everyone will enjoy. 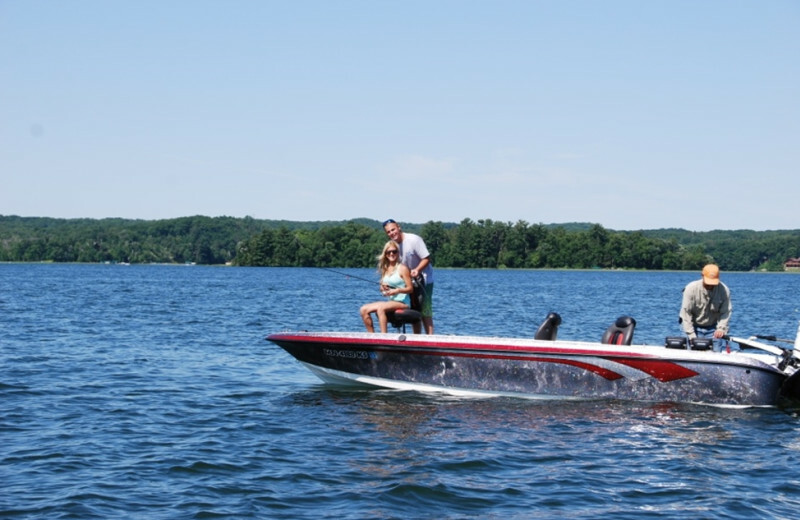 During the summer months, head out on the waters of Gull Lake for boating and fishing adventures. 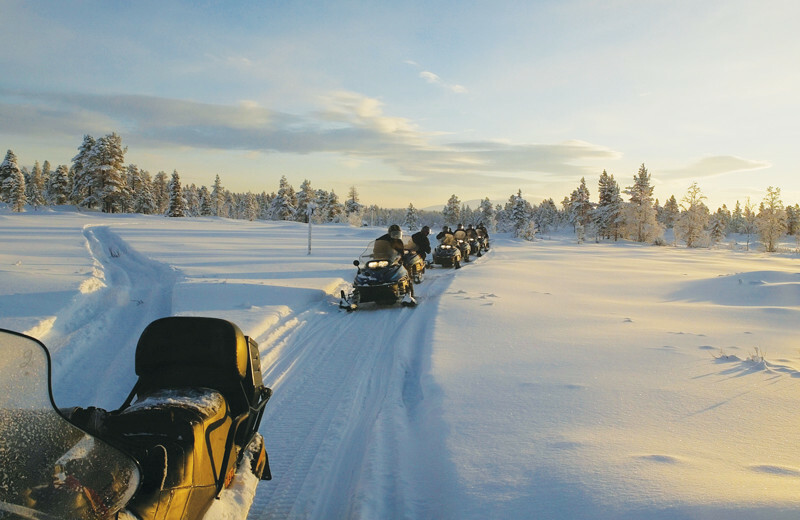 During the winter months, your family will love the opportunities for snowmobiling, ice fishing, and cross-country skiing. 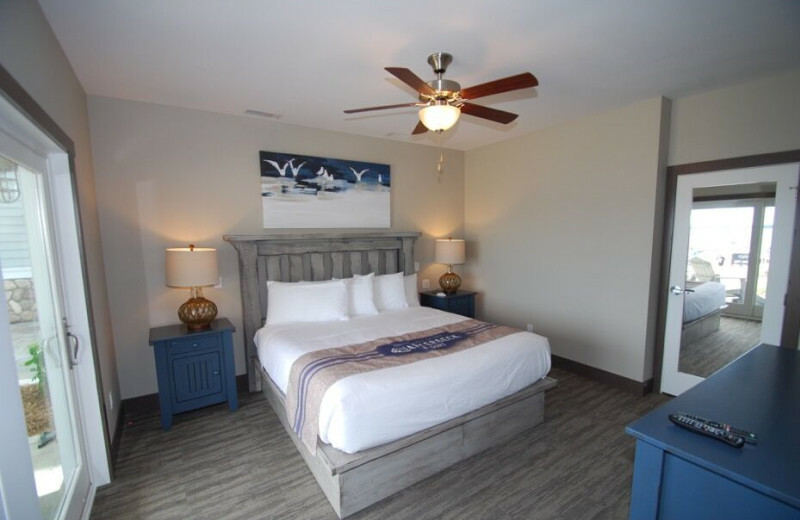 The spacious and comfortable accommodations at Quarterdeck will provide enough room for even the largest of extended families all year long! 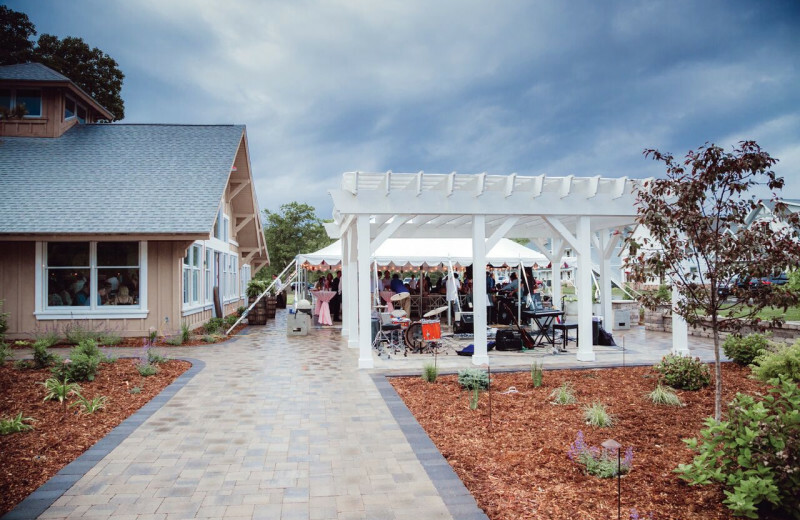 Imagine your special moment surrounded by beautiful landscaped gardens, quiet waves lap at the beach—tall pines sway in the gentle breeze as you look out over Gull Lake. 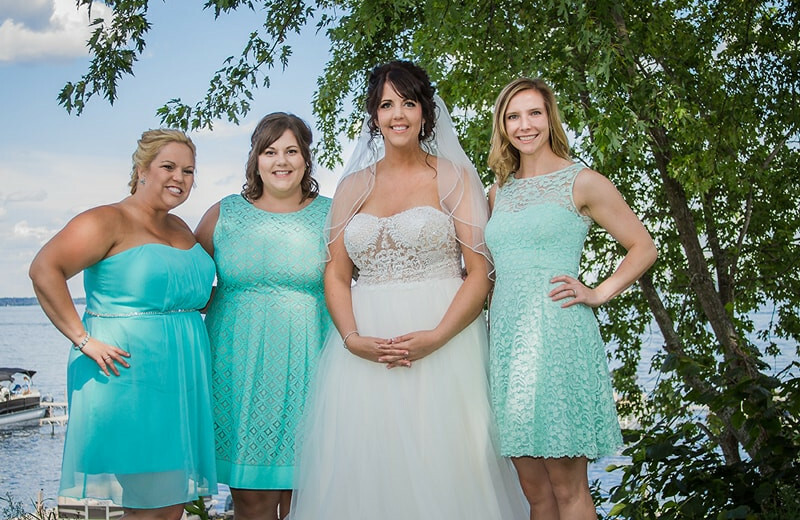 Quarterdeck Resort offers you a beautiful and unforgettable atmosphere for your Minnesota wedding! 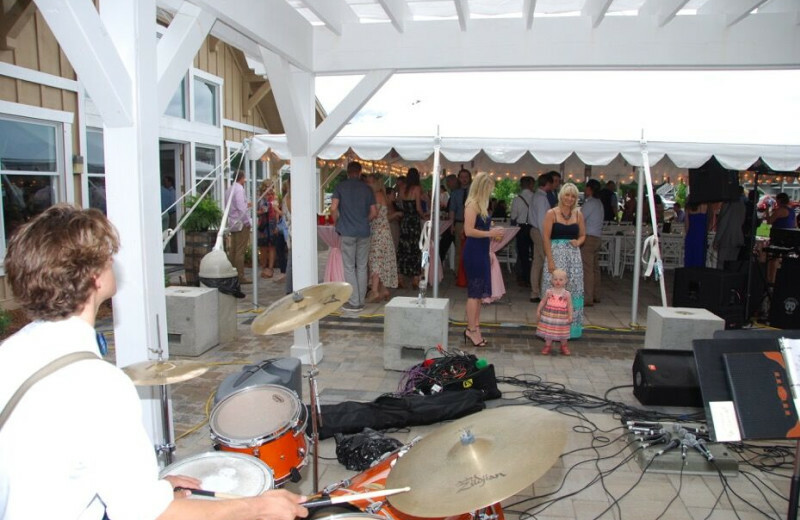 Let their professional staff assist you in planning an unforgettable event. 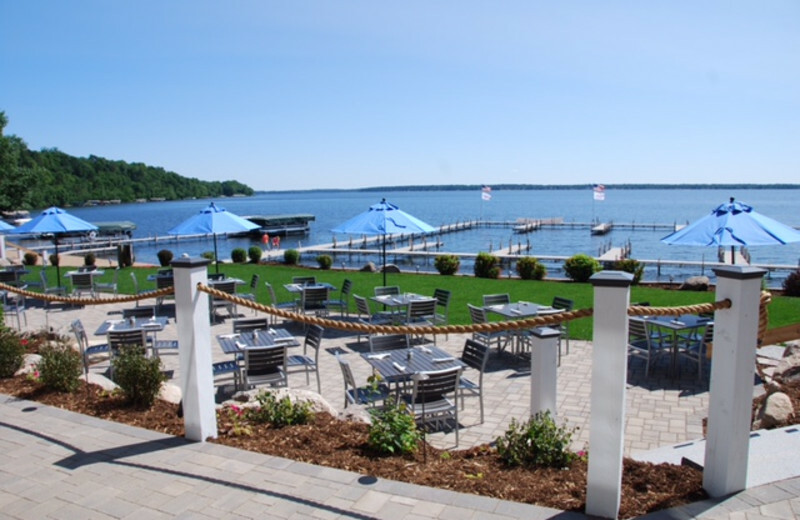 Quarterdeck Resort rests on the shores of Gull Lake and is surrounded by lush forests of northern Minnesota. There are plenty of ways to get close to nature here. 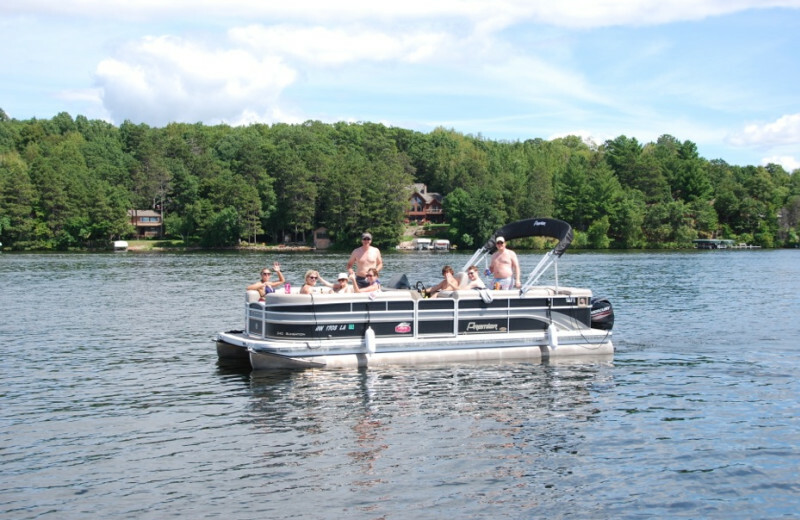 Rent a paddle-boat from the resort and venture out onto the water. Explore the local hiking trails and bask in the views. Or, head to nearby Mount Ski Gull to enjoy fantastic zip-lining. The choice is yours! 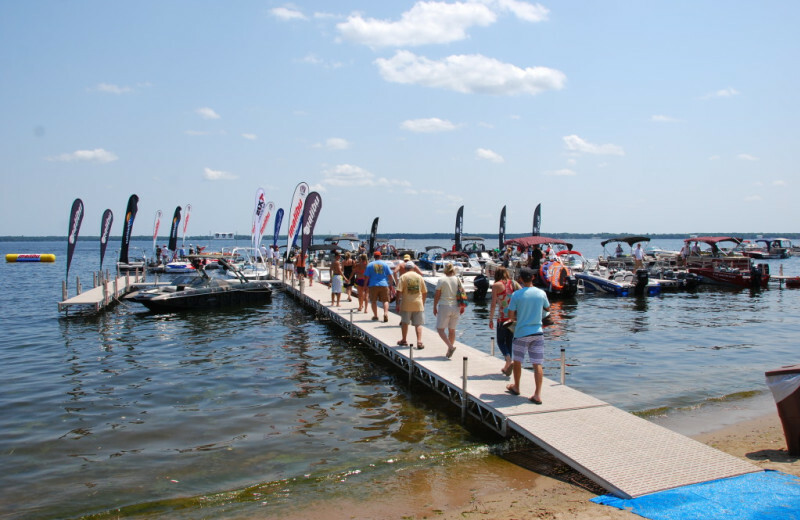 The 10,000-acre Gull Lake is a premier destination for Minnesota fishing vacations. 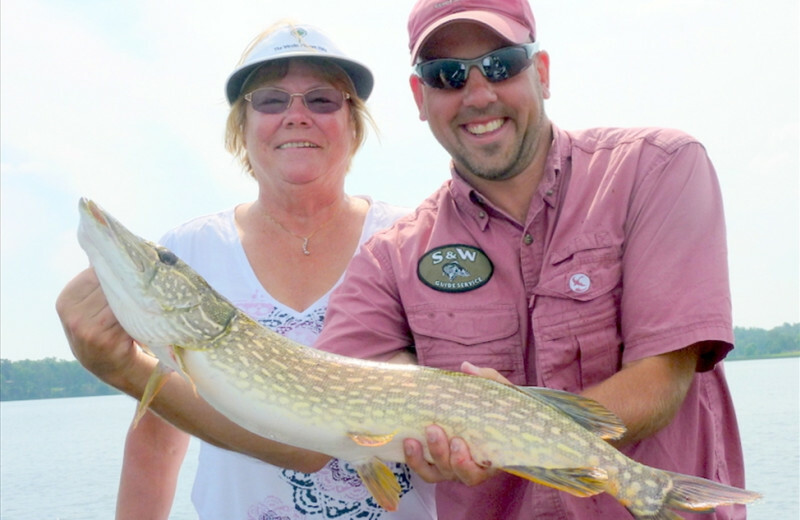 At Quarterdeck Resort you can easily head out to cast your line for a variety of local species. 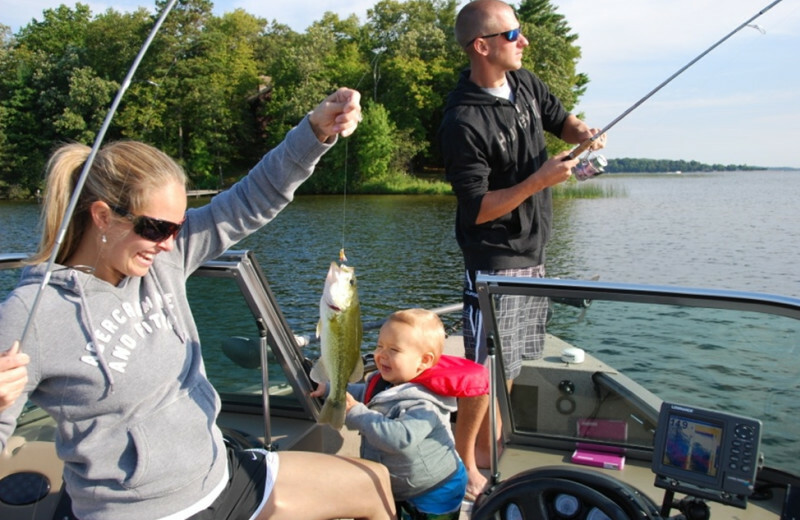 Rent a boat right onsite and reel in some great walleye, northern, and bass. 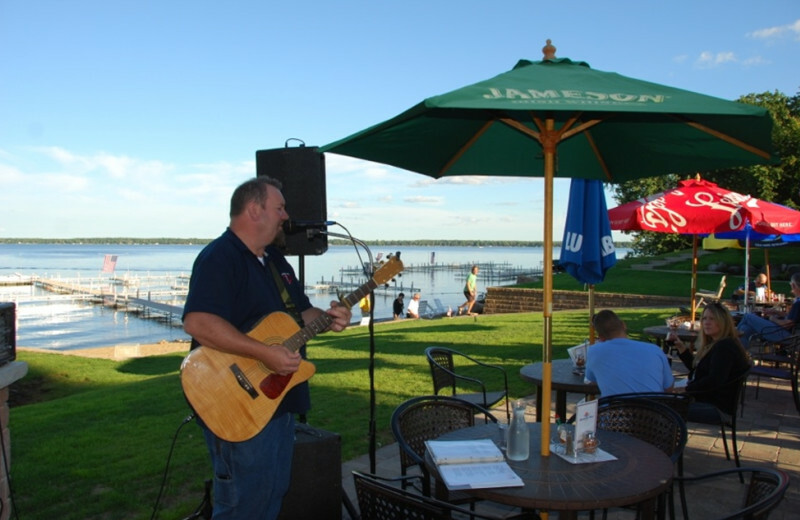 You can also relax right by the dock and catch panfish! Whether you're here with the family, your fishing buddies, or flying solo, you're sure to have a successful fishing experience. 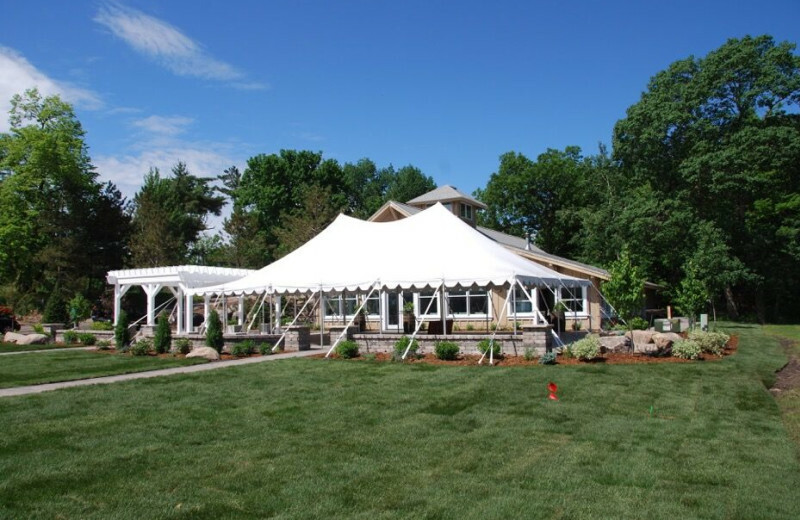 The charming lake and woods environment of the Quarterdeck Resort is ideal for romantic getaways. 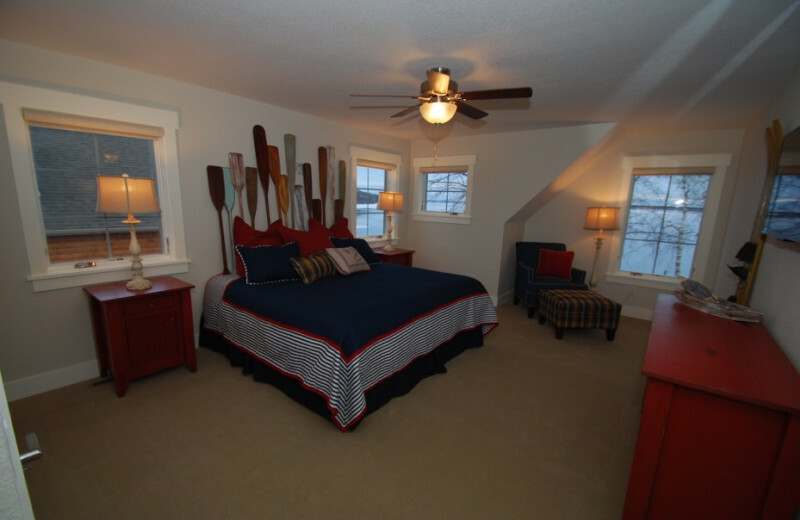 Personal fireplaces and private whirlpools in the rooms will make you and your sweetheart feel right at home. 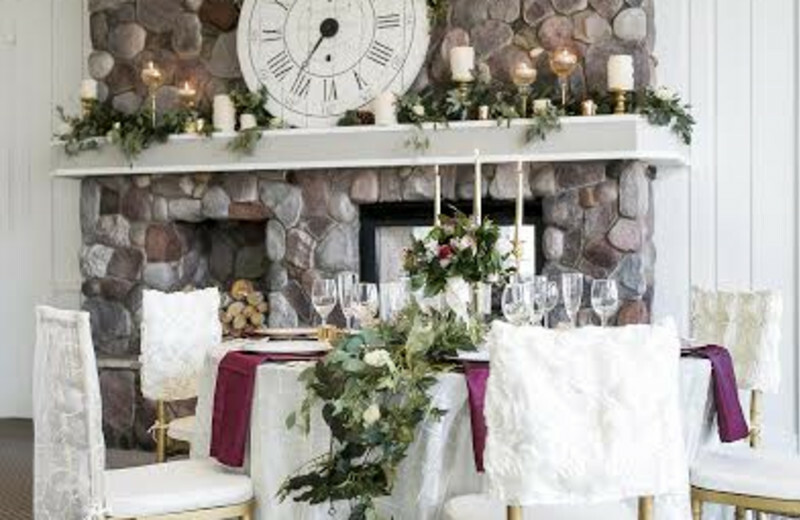 Lounge on your loveseat, snuggle up in your king size bed, and feel like the only two people on earth as you absorb the lovely Minnesota lakeside scenery! 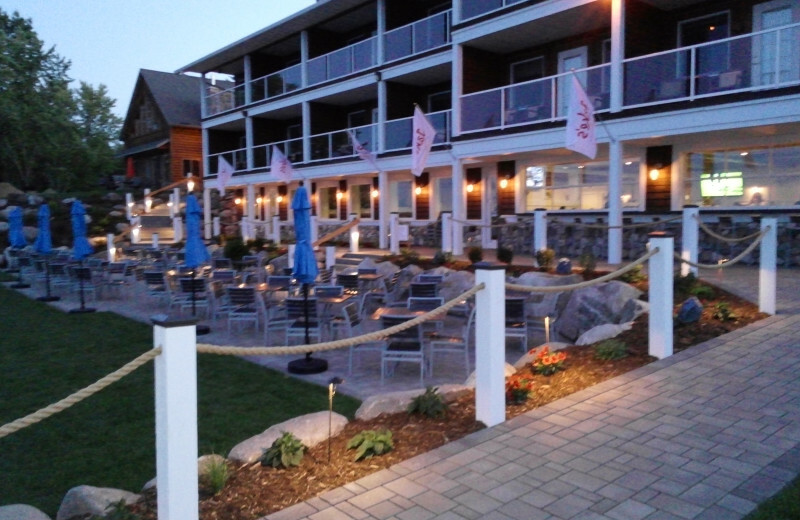 The Quarterdeck Resort has 14 luxury lakeside villas, 21 lakeside vacation homes and nine birchwood villas, each combining elegance with a home-away-from-home feel. 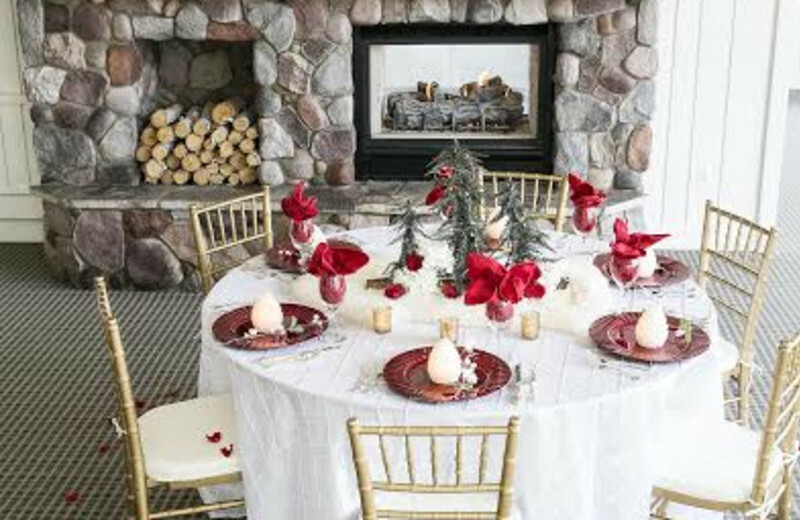 The Lakeside Villas are complete with personal whirlpools and gas fireplaces, and all accommodations have lovely Gull Lake landscapes. And that's just the beginning. 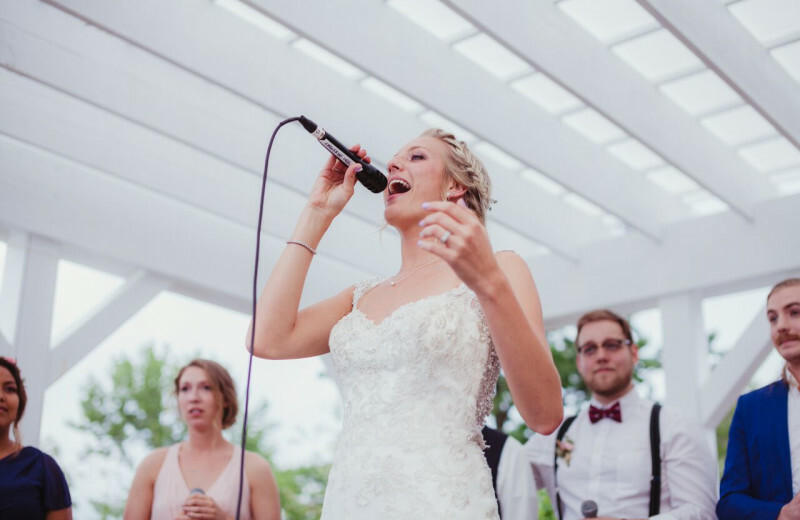 With onsite boat rentals and great dining at Jake's Beach Grill, you have everything you need for an unforgettable Minnesota experience! 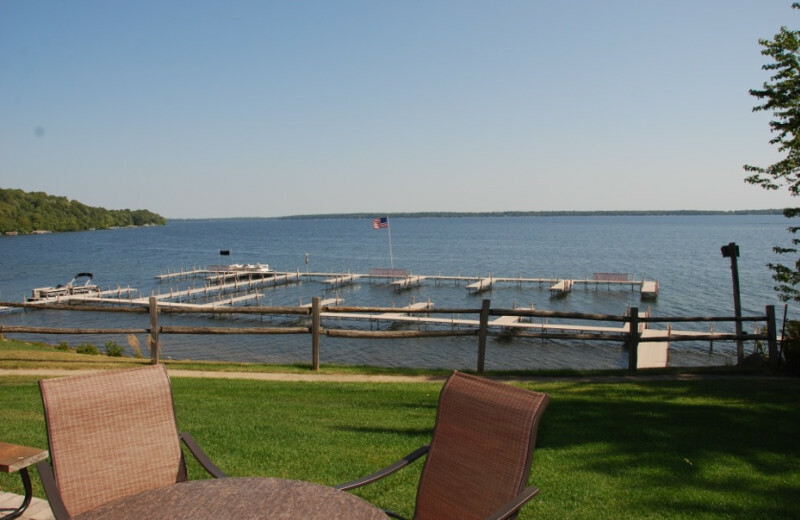 Gull Lake is rated #1 out of the 450 lakes in the area, making it the ideal place for your next lake vacation! 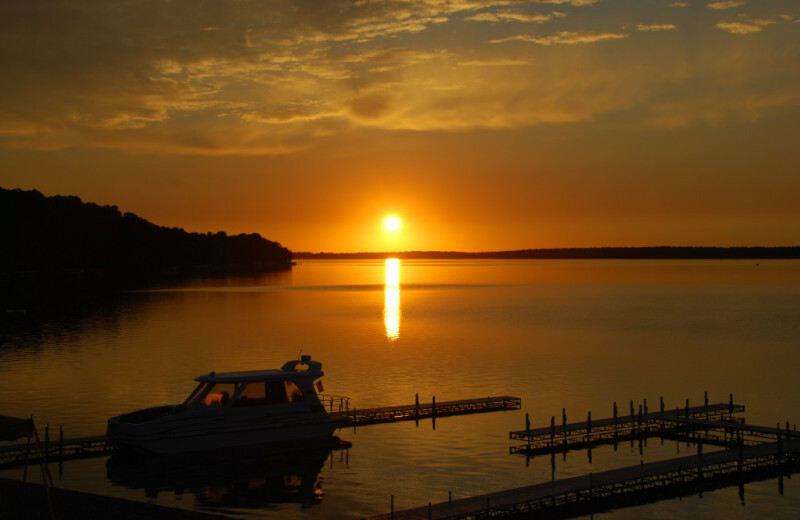 This massive 10,000 acre lake is truly a sight to behold and offers endless activities that everyone's sure to enjoy. 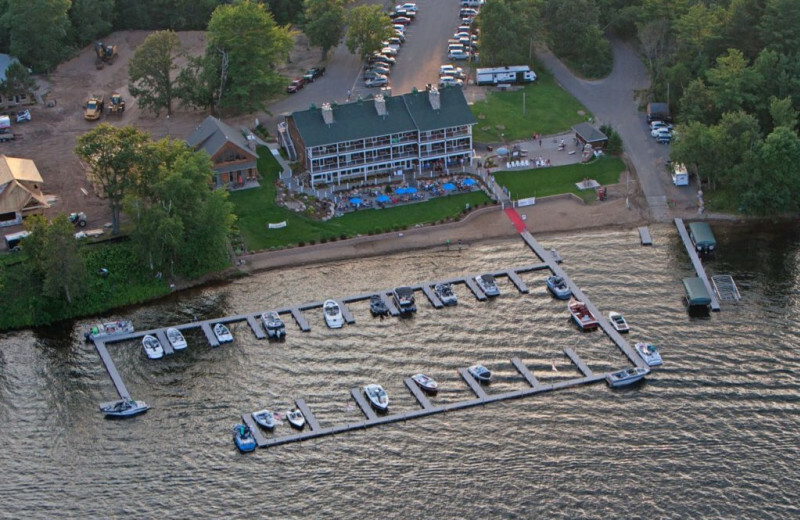 Quarterdeck Resort's onsite marina is available for all your fishing needs. 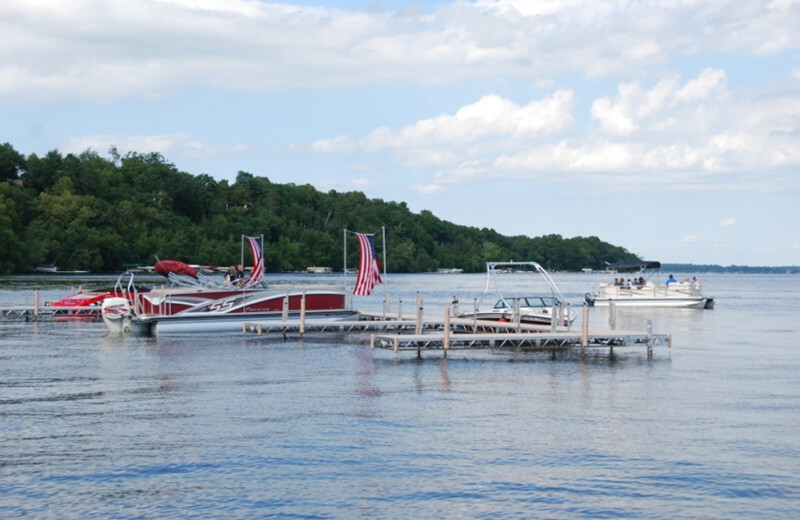 Or, you can simply head out for fun swimming, jetskiing, and even paddle-boating. 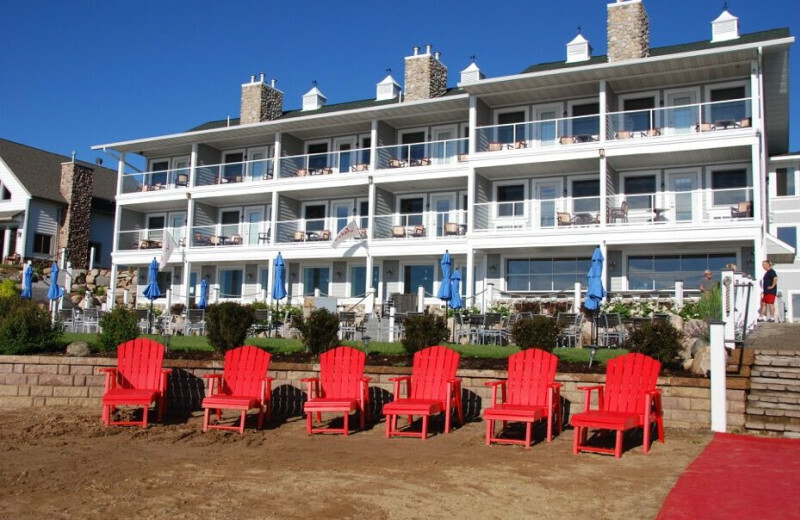 Enjoy picnics on the shore and plenty more! 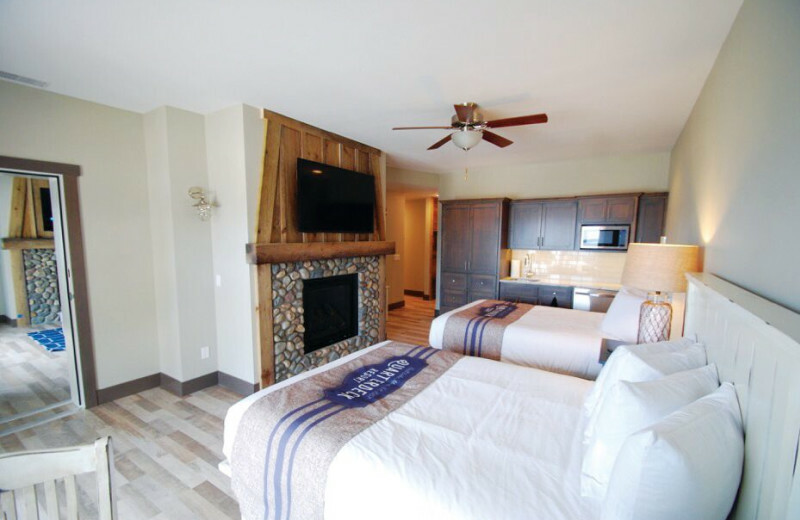 Lakeside lodge suites at Quarterdeck Resort play the perfect host for your next romantic rendezvous with great amenities including a whirlpool and fireplace. 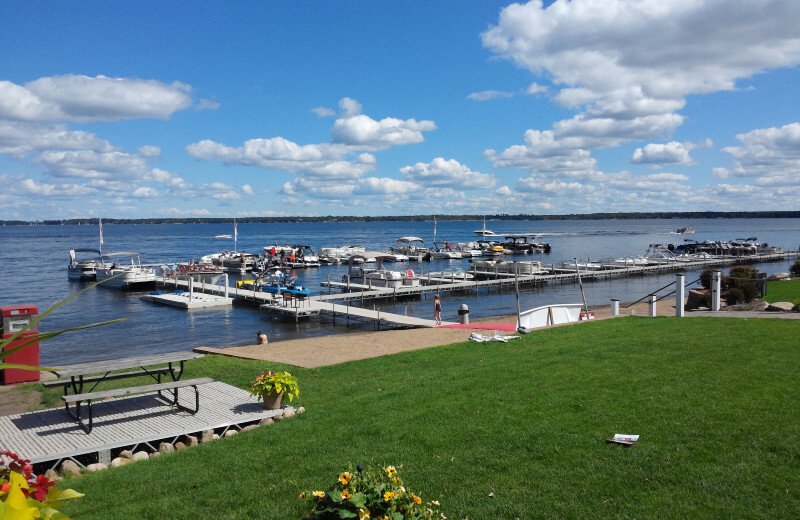 Spend your days on Gull Lake during the summer months enjoying a boat ride together or just soaking up some sun on the sandy shore. 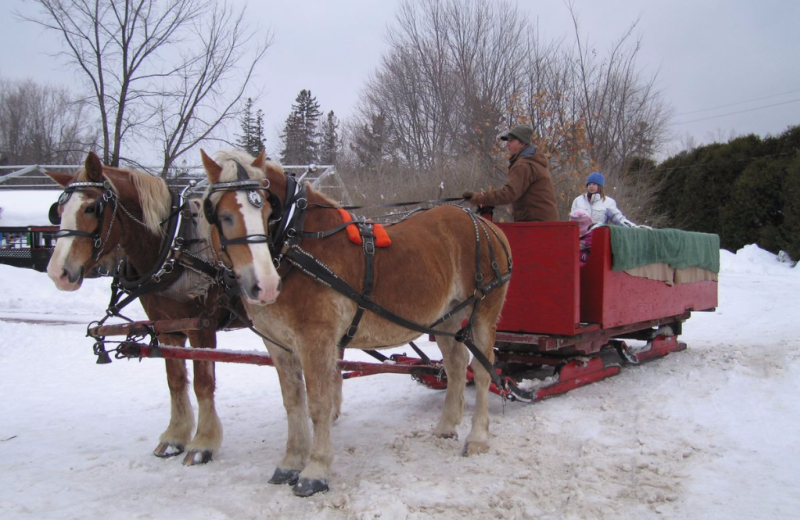 A winter getaway can include a horse-drawn sleigh ride through the snow. 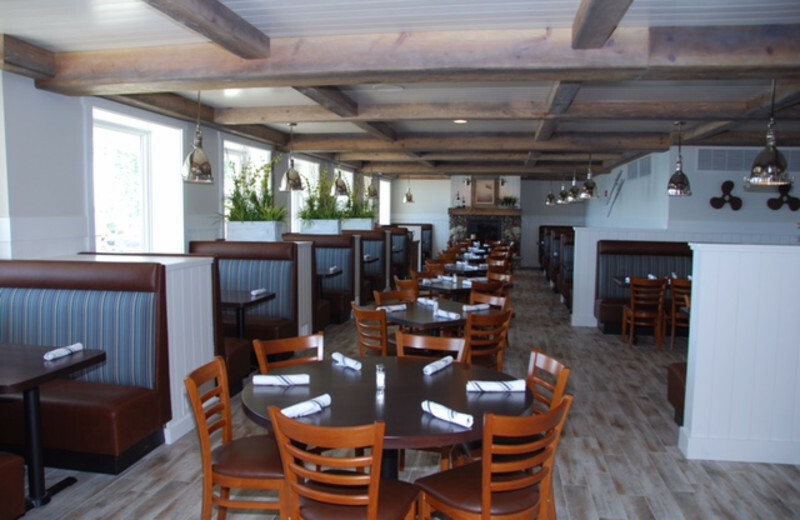 Make sure to head to Jake's Beach Grill for a romantic dinner for two! 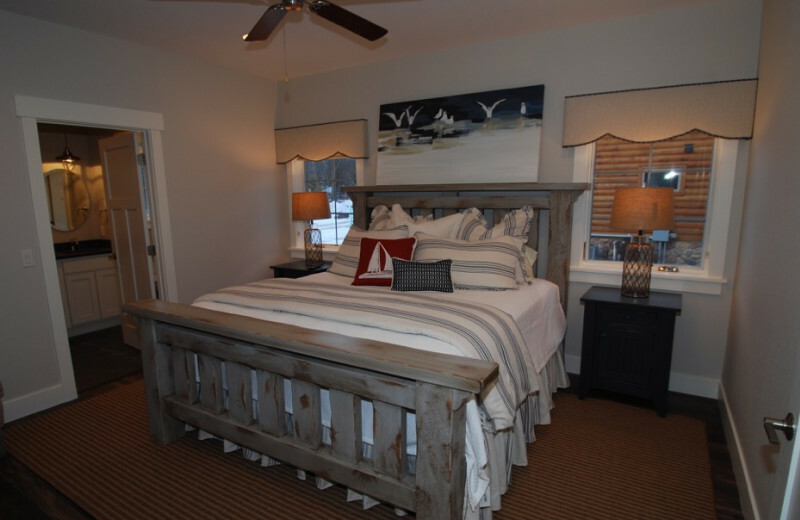 Quarterdeck's designer-furnished 3,000 square feet cottages come with wonderful wide-water vistas and oodles of luxury amenities. 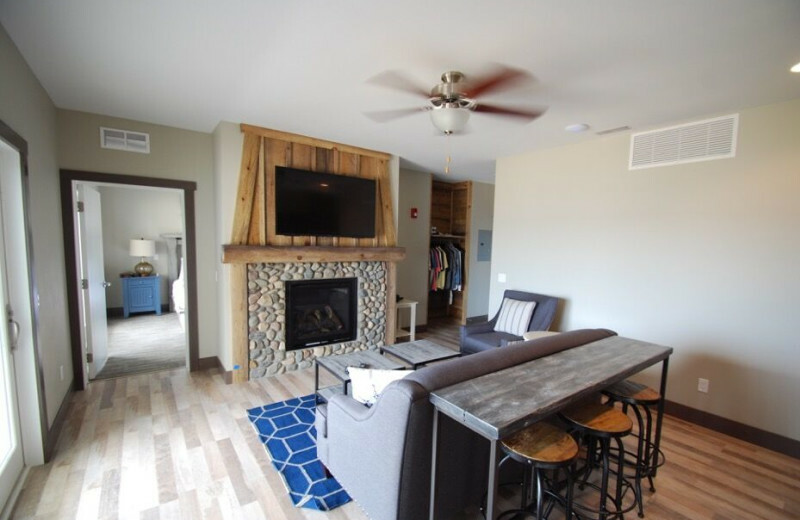 With space for up to 10 people, you and your party will enjoy the living room with fireplace, flatscreen TV, hickory kitchen, and more. 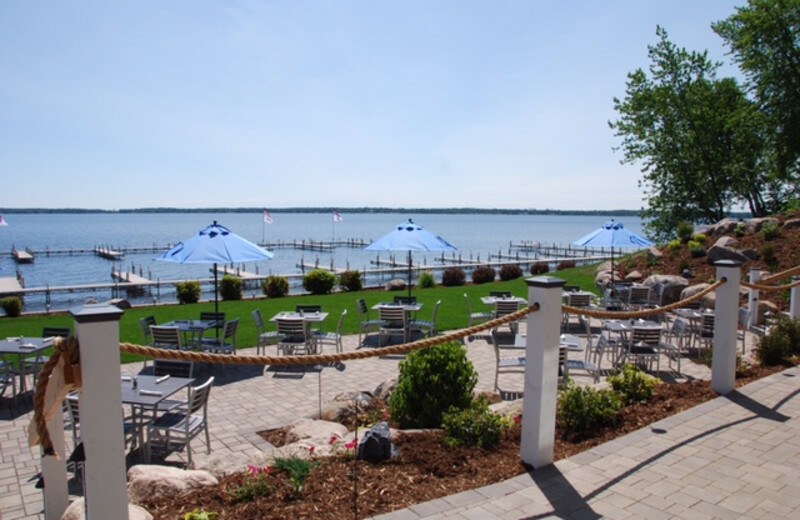 Step outside and relax on the patio while you enjoy the stunning lake views- then cook something up on the grill for a memorable night! 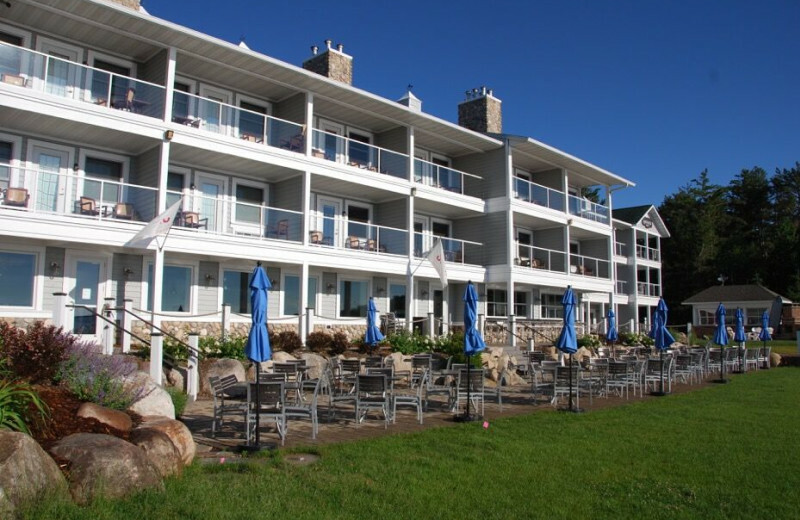 Quarterdeck Resort is the perfect place to enjoy the long summer weekends. 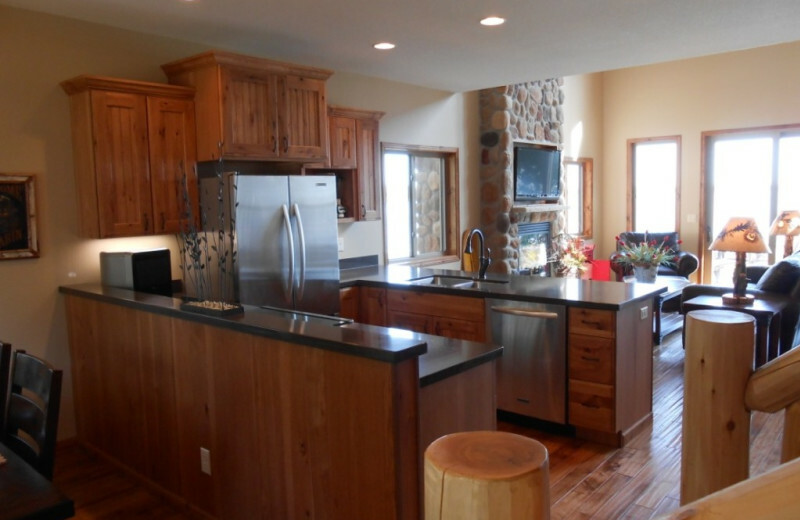 Book a cabin for the Fourth of July and enjoy boating or fishing on Gull Lake. During Memorial Day, go for a hike and roast S'Mores. 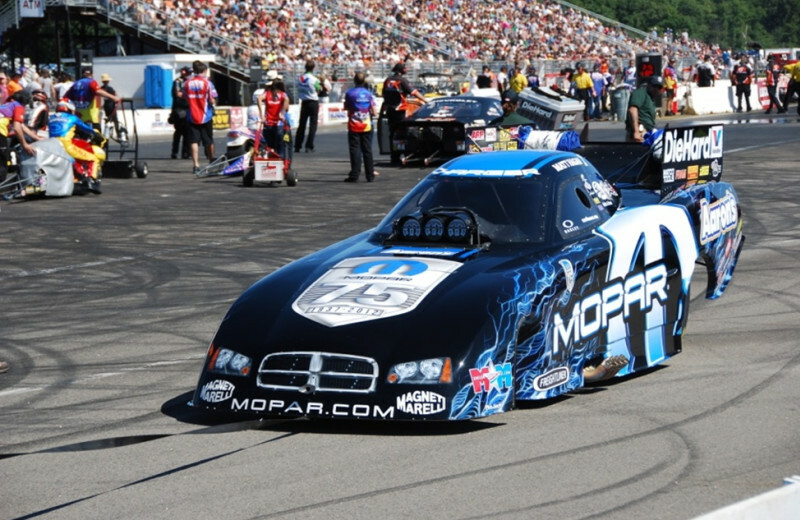 There's so much to do, you may want to plan two trips! Book your holiday vacation today and enjoy some quality time together. 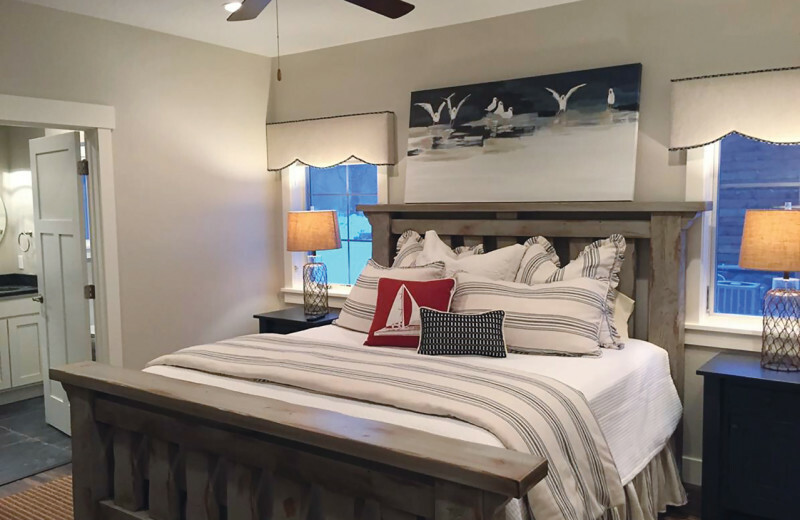 The Luxury Lakeside Villas, Birchwood Villas & vacation homes of The Quarterdeck Resort will surpass your every expectation. 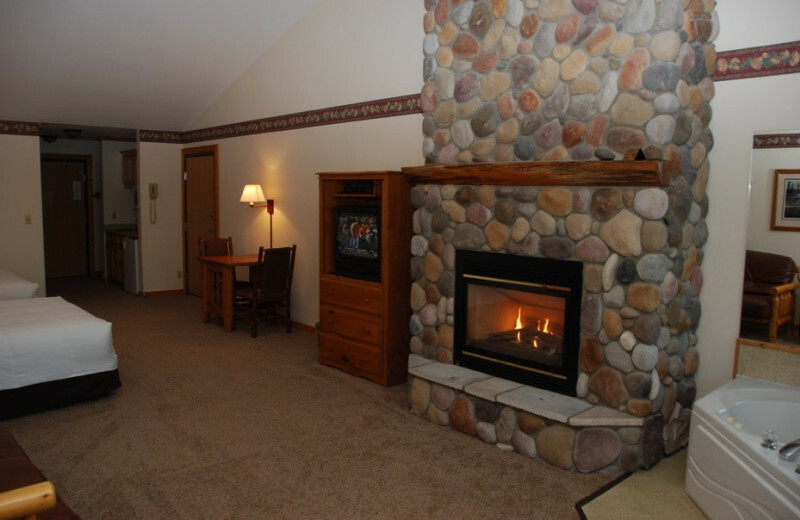 Amenities include whirlpool tubs, fireplaces, personal decks & stunning views of the lake. 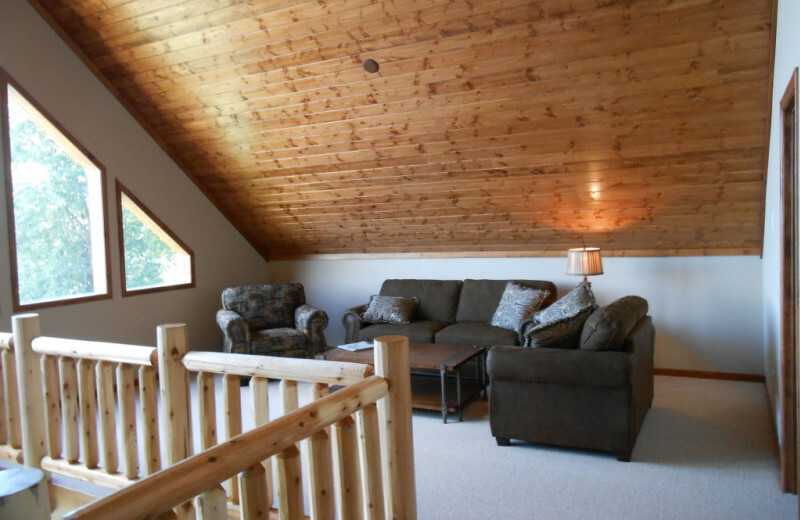 Whether staying with family or a group of friends, you'll be more than comfortable! 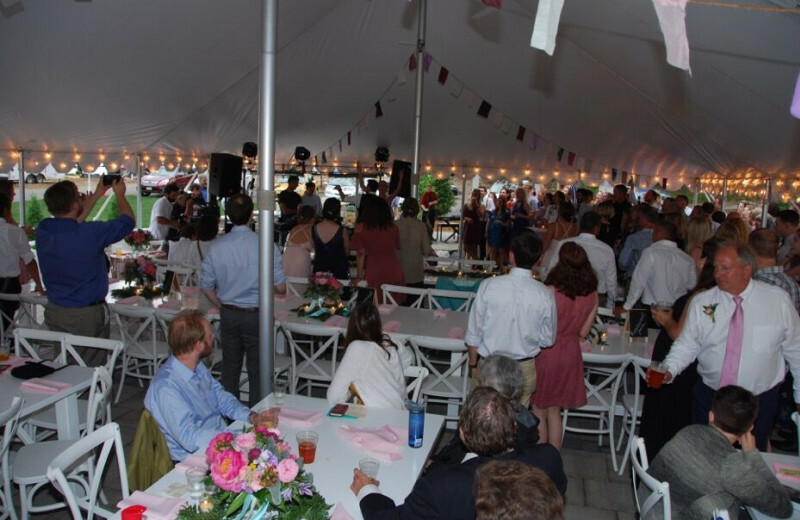 Plan your next group event at Quarterdeck Resort. For more information please call +1 (866) 920 - 1237 or Send Inquiry. 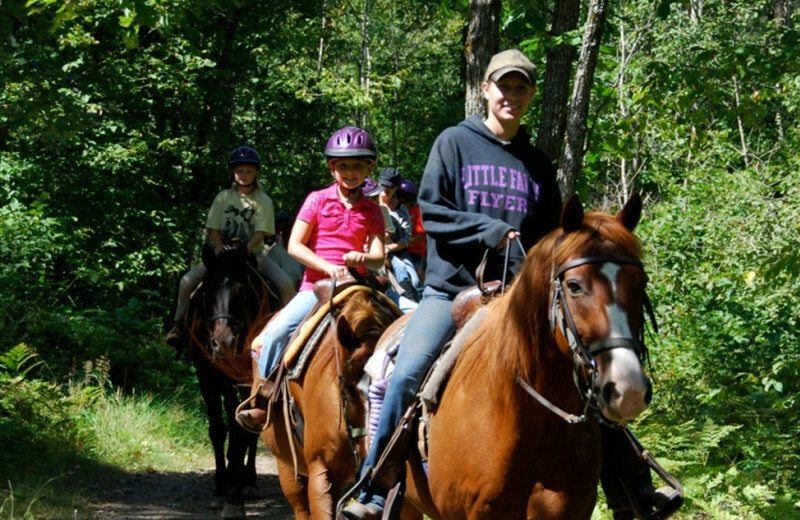 • Horseback trail rides through the forest at Outback Trail Rides, Inc.
*Subject to availability June 1-August 30. Not valid with any other promotions. 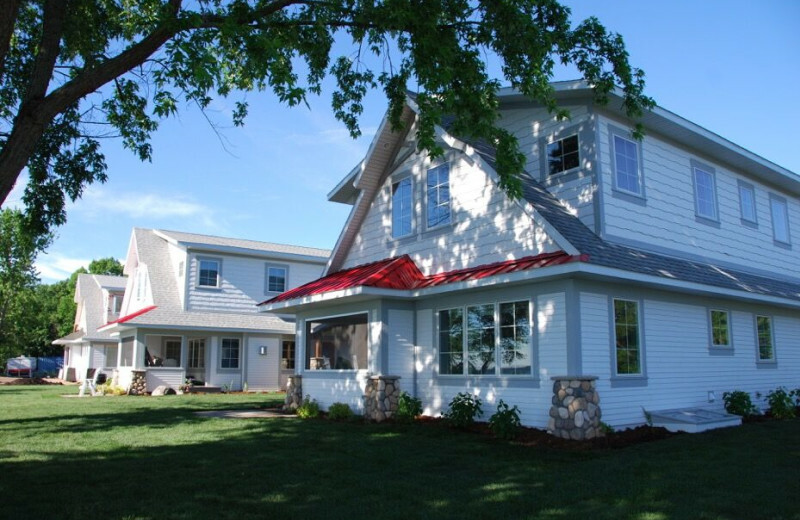 Subject to Minnesota tax of 7.375% + 4% resort fee. 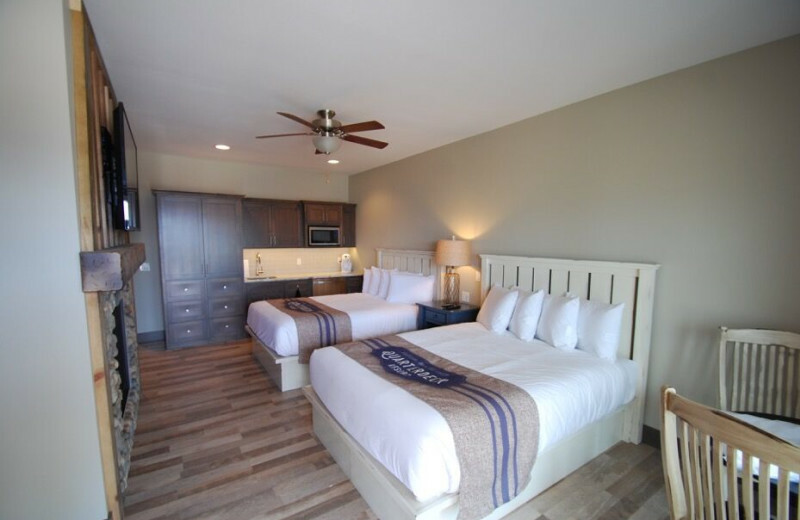 Stay two nights midweek in a Lakeside Lodge Suite for $549 and receive one $100 golf voucher/room for a round of golf at The Classic, named by Golf Digest as one of the top 10 best golf courses in the state (and selected as one of the top 100 in the country). Subject to availability May 15-September 30. Not valid with any other promotions. 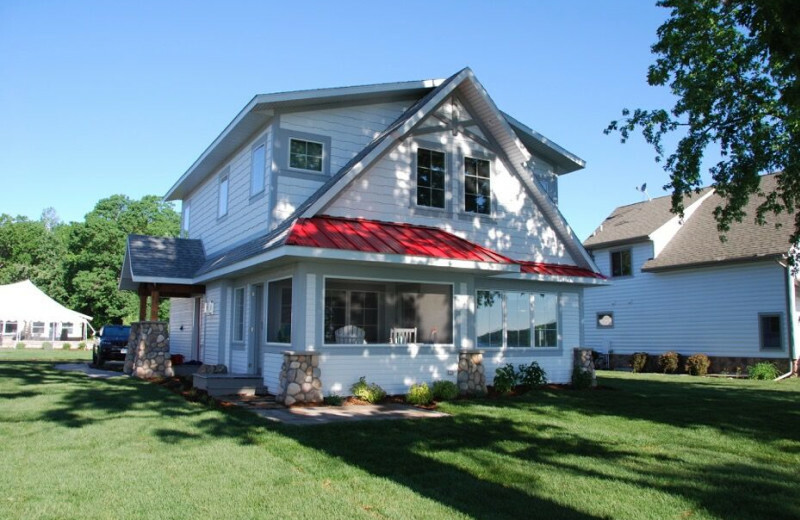 Subject to Minnesota tax of 7.375% + 4% resort fee. 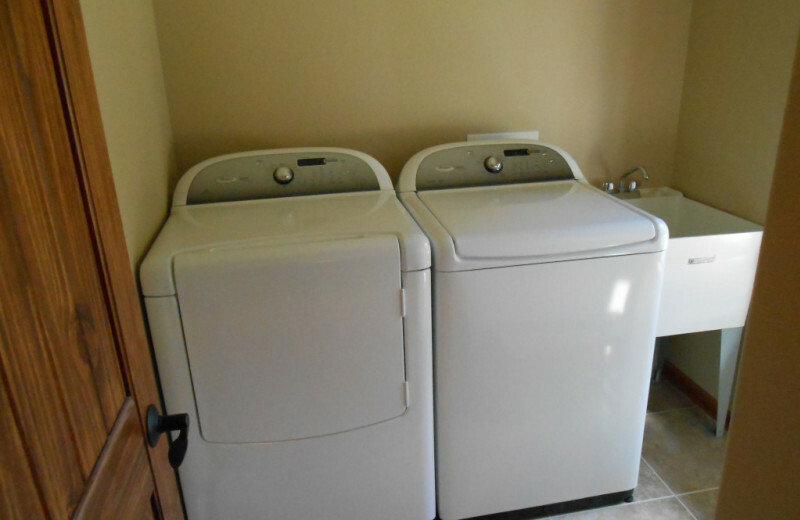 *Offers are subject to change without notice and cannot be combined with existing offers. 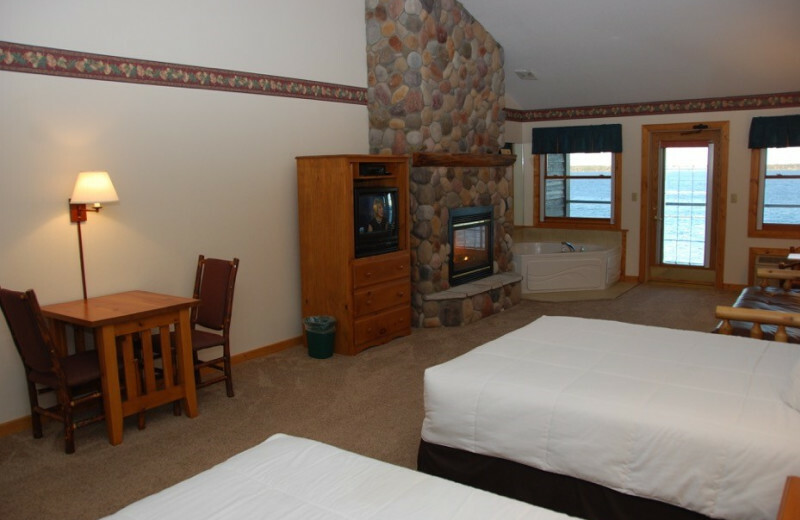 Take your family up North for Spring Break this year. 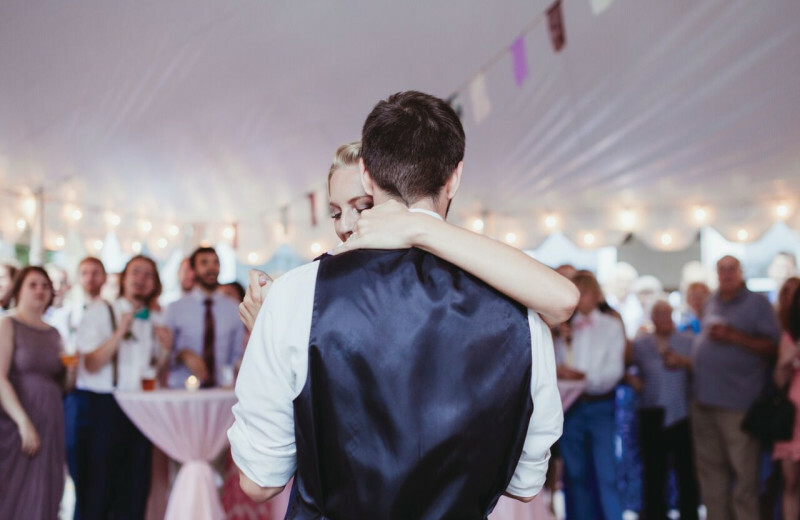 Get 4 Nights for the Price of 3 and fall in love with the magic of Gull Lake. 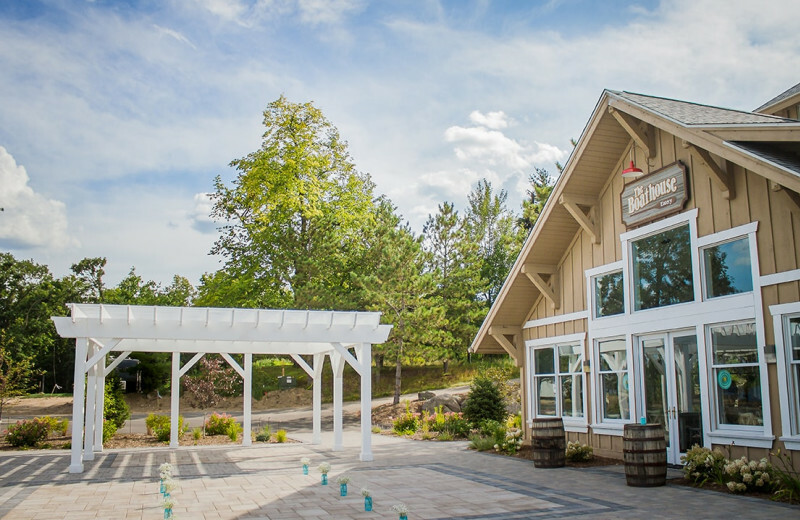 Our Lakeside Cottages can fit your entire family or learn more about our luxurious Lakeside Lodge Suites here. Contact our resort managers to create the perfect experience for you and the kids. Services listed below are in addition to the room rate. 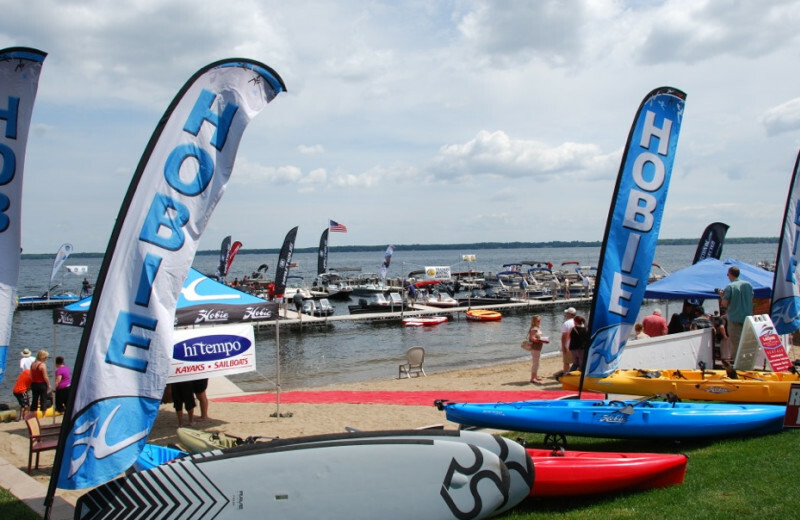 There’s so much to do on Gull Lake no matter what the weather. 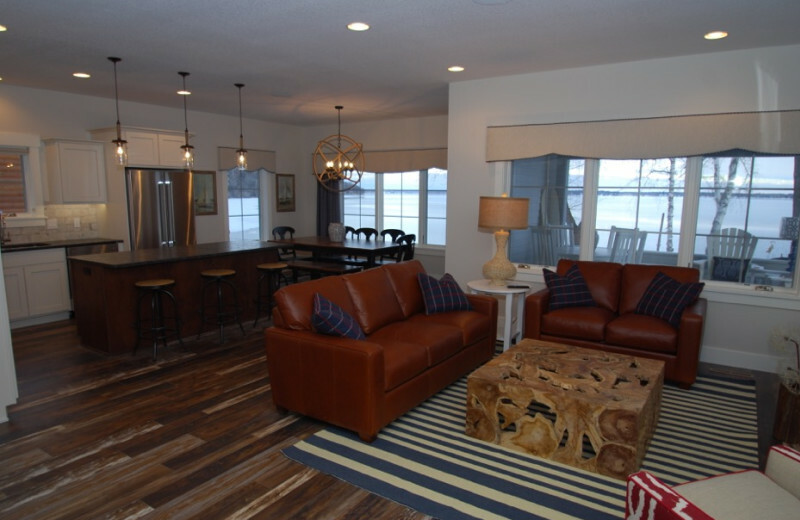 Call us at 800-950-5596 or 218-963-2482 or email vacation@quarterdeckresort.com and ask for the Spring Break Special! 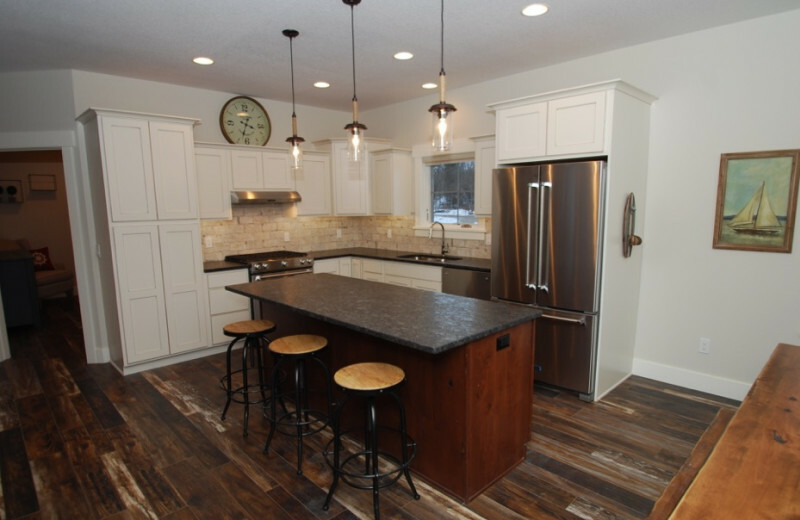 This property is ranked number 3 on Top Gull Lake Fishing Resorts. Read about it here.